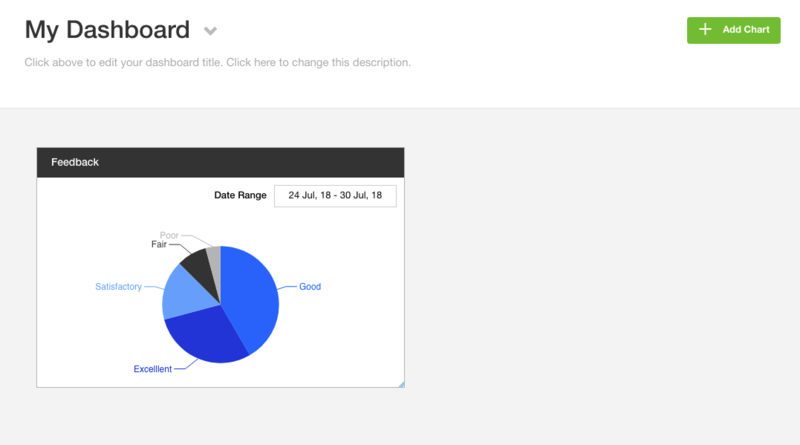 To create a pie chart of your submission data, first navigate to your Analytics page. 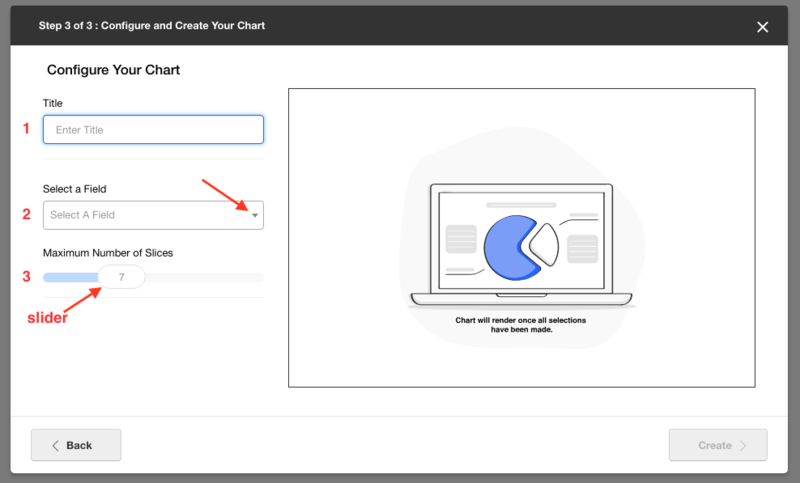 Select your chart type by clicking on the pie chart icon below. Then click "Next". 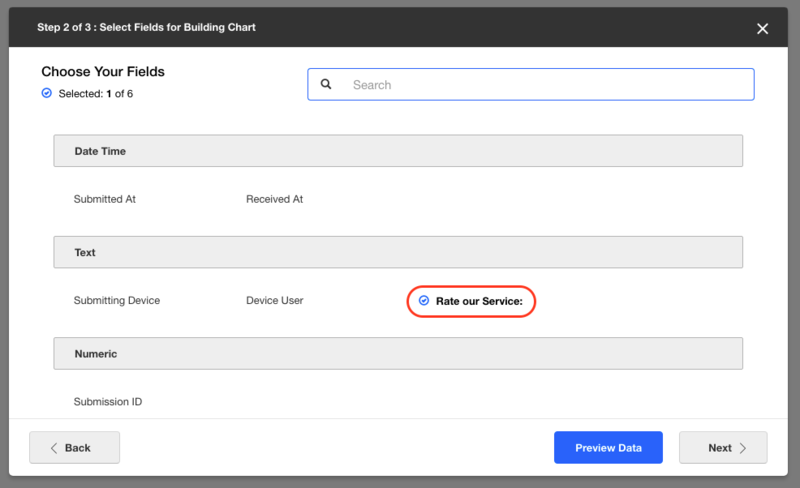 The Select question named "Rate our Service" is selected. 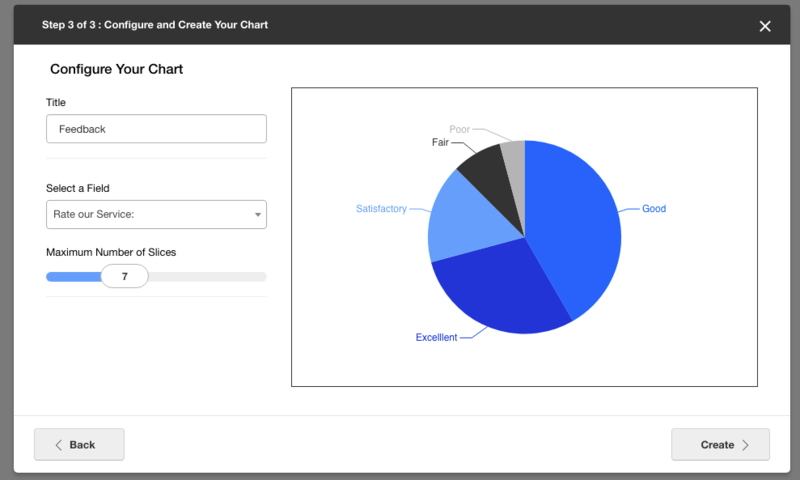 You will be able to select more than one question, however, your final pie chart will only be able to display data from one question. In this example, all possible answers are displayed for the question. Click on back to return to the previous page, and then click next when you are ready for step 3. 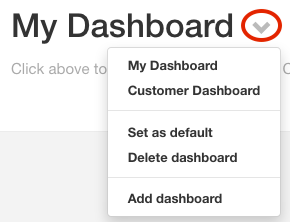 You're required to select one field from the "Select a Field" drop down menu. These options are questions selected in the previous step. 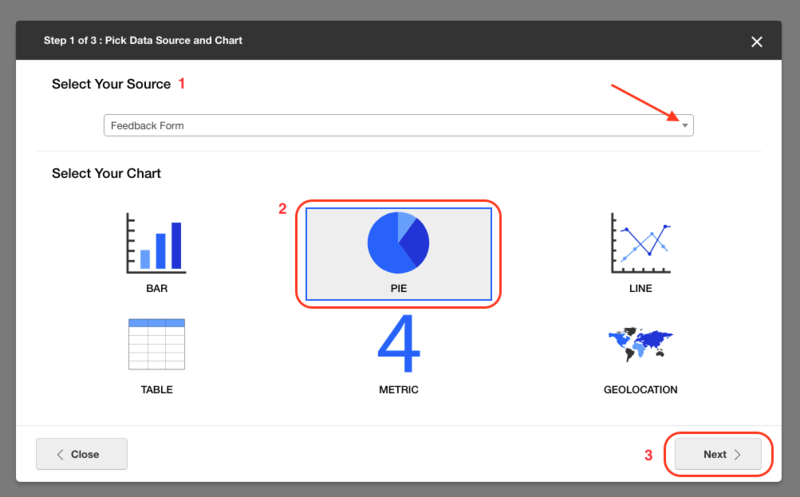 Lastly, choose the "Maximum Number of Slices" you would like to display in your pie chart by using the slider to select a number. This will limit the slices to a number of your choice. This will be 7 by default. 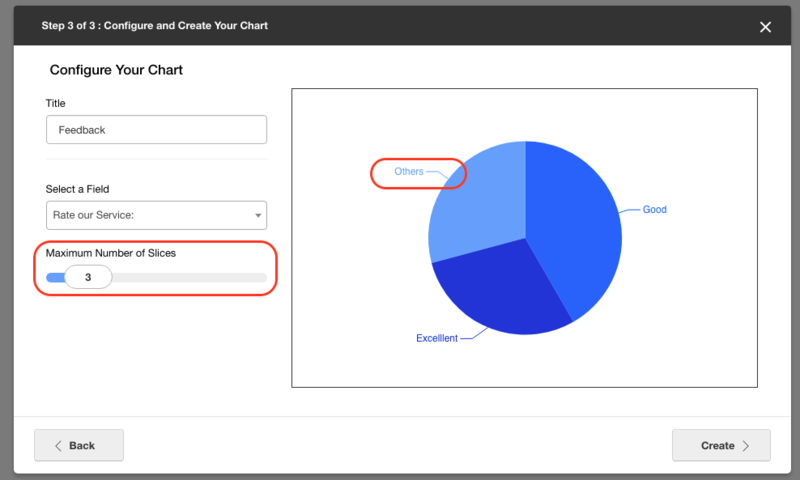 Once you have selected your field, your pie chart will be generated on the right, depicting a slice for each of your options. 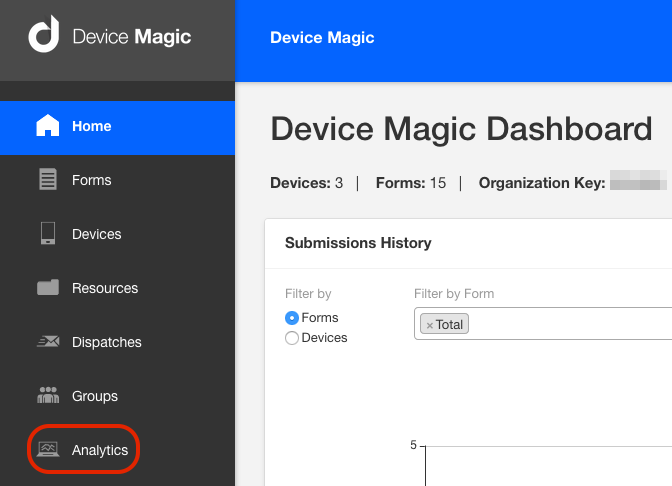 Hovering over each slice will give you more information about the answer, such as the percentage and the number of submissions that had this option selected. 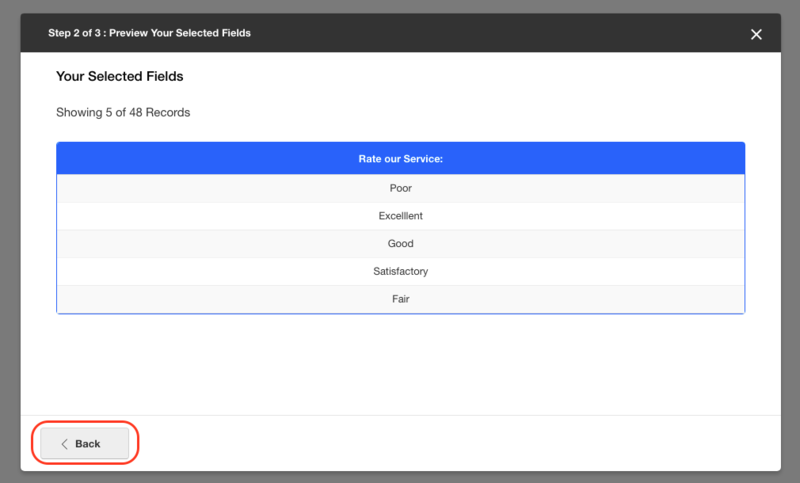 In the example below, you will see that hovering over the "Excellent" slice option, shows us that when users answered the question "Rate our Service", they selected the option "Excellent" 29.17 % of the time and 14 submissions were made with this option selected. Decreasing the number of slices, will combine the smallest slices into one single slice called "Others". As an example, the number of slices has been changed to "3" below. 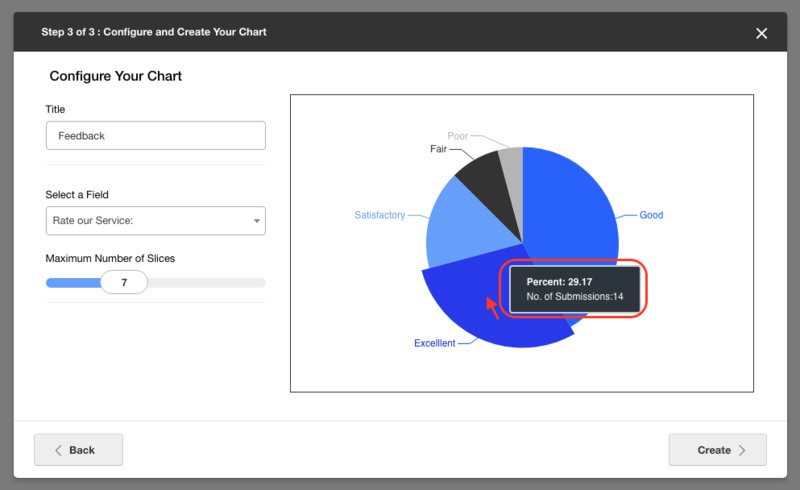 The chart now only displays 3 slices, namely "Excellent", "Good" and "Others".